GoodLife Auctions - Is it a Rare Antique or Junk? Is it a Rare Antique or Junk? Newport Beach, Calif. — Sitting in garages, storage units, attics and basements across the United States are tens of thousands of interesting items from a bygone era. Owners of these items have clung to them throughout many years knowing that one day they might cash in on their value. The items range from furniture, porcelain, works of art and hand-crafts to toys, stamps, textiles and various mechanical or scientific devices that have no real use in a modern world. Oftentimes, these items were gifted or inherited from a family member and were stored because they didn't fit a lifestyle or house style. Most of these items came with an emotional reminder that it is valuable and do not discard it. As a result, these items were relegated to collect dust until re-discovered by their keeper. GoodLife Auctions receives dozens of requests every day to provide a valuation on antiques, art, coins and various other items. Many of these requests come from the keepers of these items, eager to know exactly what an item is worth. In short, what they're really asking us is why have I held this item so long and should I sell it or continue to keep it as an investment. What they find out is often very surprising. What exactly makes an item valuable? Putting aside sentimental value, because this value is above any cash market value that might be obtained, the determination on the value of an item depends on a number of factors. The key factors to consider when it comes to value are scarcity or rarity, desirability, condition and provenance. Understanding these factors and how they are applied will help you have a clearer picture of an items value. Scarcity simply looks at how many other examples of an item exist in the world. 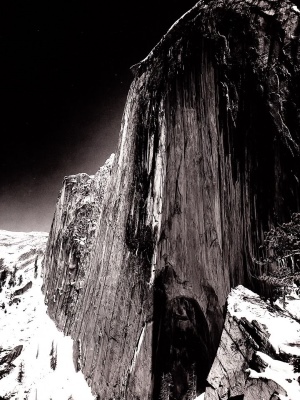 An original glass photographic plate from Ansel Adams would have potentially zero other like items. Even though Adams took many photographs, each was unique. Rare is very important to establishing value. However, having an item that has no other examples does not necessarily make it rare. A one-of-a-kind ceramic art vase is not rare but one signed by a famous artist like Rookwood's Carl Schmidt is rare. So many items sitting in attics and garages are often considered rare because few other examples exist however, scarcity is not the defining consideration for value. Desirability considers whether there are collectors or buyers that would want the item. The demand for rare items is the single most important factor to consider in an items value. An undiscovered Ansel Adams glass plate would be in very high demand because Adams is famous. However, if the subject of this photographic plate was of something that Adams seldom took a picture of such as his mules or assistants the desirability factor increases. Desirability of an item, whether or not it is rare, can therefore increase value. There are many items that people collect that are not rare but don't expect the value of these items to skyrocket like the 'Beanie-Baby' craze - remember how that turned out! Condition of an item should be carefully considered when it comes to value. In our glass photographic plate example, a broken plate can result in fewer interested buyers. However a broken plate of a rare subject may still result in a higher value because of scarcity. In today's antique and art markets, condition has risen to become nearly as important as scarcity. At one time, a porcelain collector would forgive a small nick or chip in a rare Meissen china plate. Today however, the value of a chipped plate is one-tenth what it used to be. Buyers want to spend their hard-earned cash on only the best examples and will strongly consider condition when buying. One word that perplexes many antique owners is provenance. Oftentimes, an item gets handed down through generations with a story. The story becomes part of the mystique and value and gets re-told until many details become muddied. Ultimately, we find that most stories have no proof to back them up. Those stories that are verified become part of what we in the auction business call provenance. A provenance is part ownership record, part origin of an item and part authentication of an item. To use our Ansel Adams photographic plate example, a story about this item might include verifying the relationships to Adams. Was the relative who held the item an assistant or friend of Adams? Was there any correspondence or a receipt from Adams to the relative? Something other than word of mouth is excellent proof. While these points don't ensure the plate is an authentic Ansel Adams, the provenance can certainly back up any technical examination of the glass plate and help arrive at nearly positive identification and proof. So the answer to the question should I sell it or continue to keep it as an investment comes down to whether an item will actually appreciate or if the time has come to sell it. You should ask yourself - did you keep the item because it had sentimental value or was it because you were told the item was too valuable to sell? Less than 20% of appraisal requests asked this question responded that an item was too sentimental to discard. For those that attach a sentimental value to an item, this value is above any cash market value that might be obtained at auction. The remainder of respondents answered that they had hoped one day the item would reap rewards for being it's caretaker. It is for these seller-minded owners that getting the most value is the single and highest consideration. If you spend just a little time evaluating that dusty item you have stored, you may just determine if it is junk or a rare item. Look it over and try to identify what it is and when it was made. Look for markings that can be researched on the internet. Assess the condition and be honest that an old water-stained commode with gouges and other damage is not in the best of condition. Try searching the web for similar items for sale to see if there are only a few examples for sale or hundreds. Lastly, if the item comes with a story, unless you have some documentation then the story is just a story. Write down a description of the item and document your assessment of its rarity, desirability, condition and provenance. Send this to GoodLife Auctions along with some photos showing the item, it's markings and condition and we can help you with both the item's value and advice to help you decide whether to sell it or hold on to it.